A great example of a positive outlook and facing in the direction you want to move. I read something this morning that grabbed my attention. Did you know that Green Bay coach Mike McCarthy believed so certainly in his teams victory that he had all of his players fitted for their championship rings on Saturday night?! A bold move that will surely go down in Superbowl legend. It made me realize we should all have that kind of belief in things we undertake. yourself when you’re not a winner. Confidence is contagious. So is lack of confidence. If you aren’t fired with enthusiasm, you will be fired with enthusiasm. Dictionary is the only place that success comes before work. Hard work is the price we must pay for success. I think you can accomplish anything if you’re willing to pay the price. Tomorrow I am looking forward to a day of rowdy friends and family, screams and cheers, bratwurst and beer, funny commercials and the cherry on top? Hopefully a Green Bay WIN! Do you know how the Packers got their name? Do you know what the “G” stands for in the Packers logo? It’s not what you think. It stands for “Greatness”. Not Green Bay. The oval “G” Packers logo was created in 1961 by Packers then-equipment manager George Braisher. So break out your Cheese head and cheer with me Go Pack GO! Happy Candlemas! Fire festivals, a celebration of Light and the day of Candles. Candlemas is a celebration of light, the day of candles! In many cultures today February 2nd is celebrated as Candlemas, this day represents when Mary presented Jesus to God in the temple, 40 days after Christmas. Candlemas occurs at a period between the December solstice and the March equinox, so many people traditionally marked that time of the year as winter’s “halfway point” while waiting for the spring. Many Christians believe that Jesus’ mother Mary presented him to God at the Temple in Jerusalem after observing the traditional 40-day period of purification (of mothers) following his birth. According to a New Testament gospel, a Jewish man named Simeon held the baby in his arms and said that he would be a light for the Gentiles (Luke 2:32). It is for this reason that this event is called Candlemas. Candles for the coming year are taken to churches to be blessed and burned in homes to celebrate the return of Light. 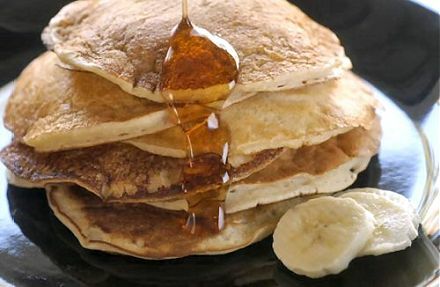 Candlemas is also celebrated as the feast of Pancakes! Snowdrops (galanthas nivalis) are known as Candlemas Bells because they often bloom early in the year, even before Candlemas. Some varieties bloom all winter (in the northern hemisphere). The superstitious used to believe that these flowers should not be brought into the house prior to Candlemas. However, it is also believed in more recent times that these flowers purify a home. According to folklore, an angel helped these Candlemas bells to bloom and pointed them as a sign of hope to Eve, who wept in repentance and in despair over the cold and death that entered the world. Many Christians see the flower as a symbol of Jesus Christ being this hope for the world. Candles that are lit during Candlemas also symbolize Jesus as the “light of the world”. Imbolic- making way for the beginning of spring. Imbolc is associated with divination, being perceived as a time when the veils between worlds are thinner. One of the more common winter/spring divination rituals is Ground Hog Day. On February 2nd, it is said that a ground hog that comes out of his burrow and sees his shadow foretells six more weeks of winter weather. No shadow on this day and spring is right around the corner. Most Americans are only familiar with the media glare cast on “Punxsutawney Phil” and a small Pennsylvania town each year, not realizing the more complex European roots of this rite. This practice came with German settlers, the Pennsylvania Dutch, who adapted their own hedgehog observations to a close American native.